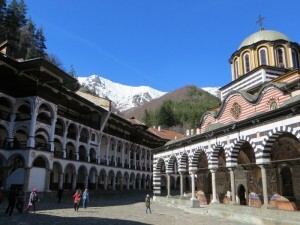 After a reasonably easy border crossing we rode into the Bulgarian countryside to visit the Rila Monastery, a UNESCO world heritage site. 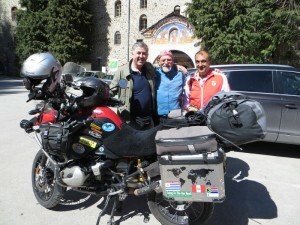 Just to prove it’s a small world before we walked inside the monastery’s grounds a couple of men came up, friends of Nikos, our buddy in Athens! 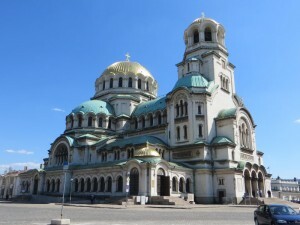 The capital, Sofia, is a wonderful city where we visited the Alexander Nevski Church with its golden dome and the smaller and less ornate, but equally as lovely, Russian Church. Brian was very keen to stay at the Bulgarian MotoCamp, a campground especially for bikers. 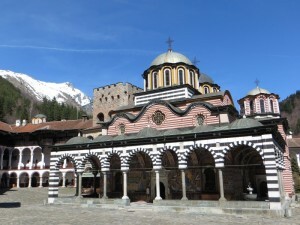 We head off to ride the 200 plus ks from Sofia on a warm, sunny morning. 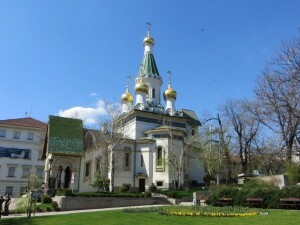 It is disappointing to find the camp locked up as we get back on the bike and ride further east, heading to the Black Sea and the resort town of Varna. The weather isn’t conducive to taking a dip but it’s perfect for walking along the promenade high above the water’s edge and enjoying lunch in a café in the Sea Garden. 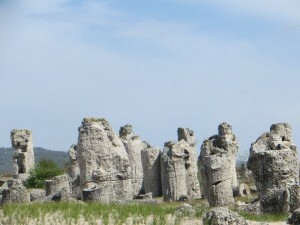 On the outskirts of the town is the Stone Forest, 50 million year old stone columns that were once on the sea bed. Awesome. 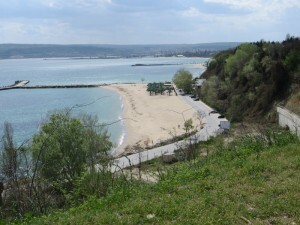 Time to move up the Black Sea coast to Romania.